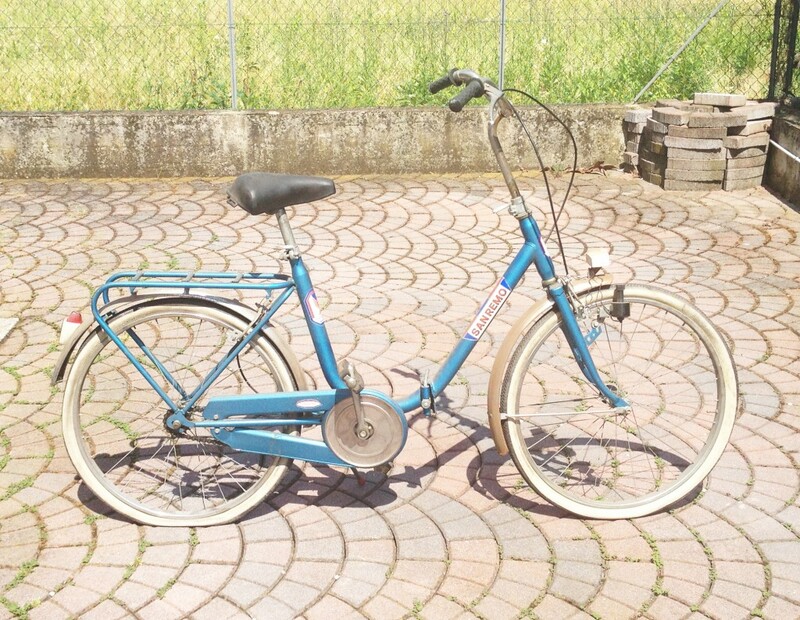 A couple of months ago we found a really cool folding Sanremo bicycle in my grandma’s garage. 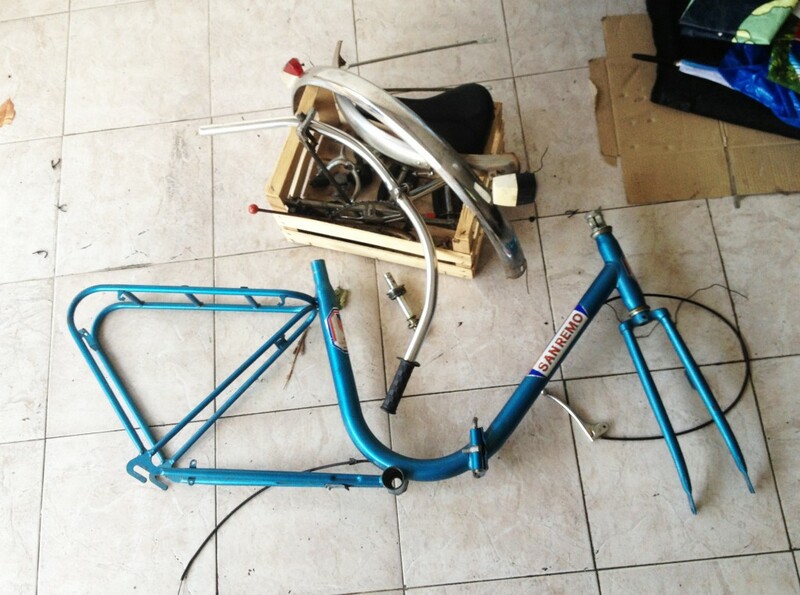 The bike was in very good conditions, so at the beginning we thought we would sell it as it was. After procrastinating many weeks we decided we wanted to customize it, just for fun. 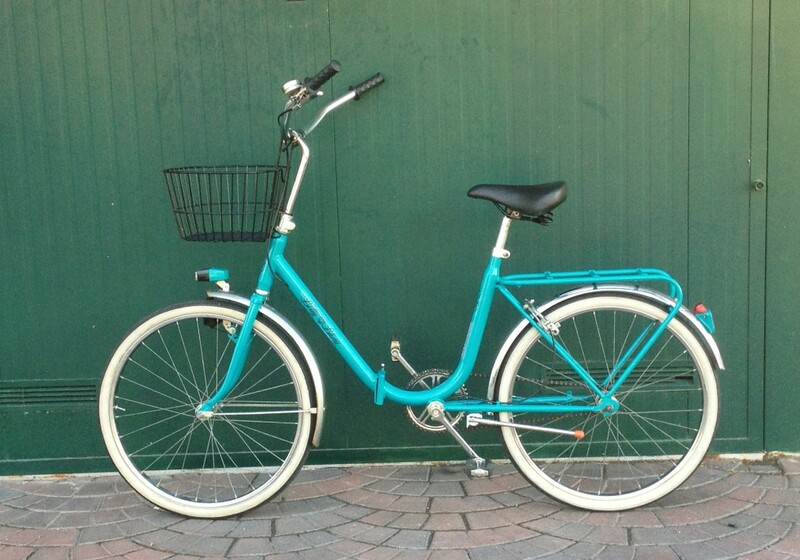 Talking with my sister of her move to university, we opted to modify the bike for her (since students here always use bikes as the main means of transport) and to give it a more cruiser aspect. 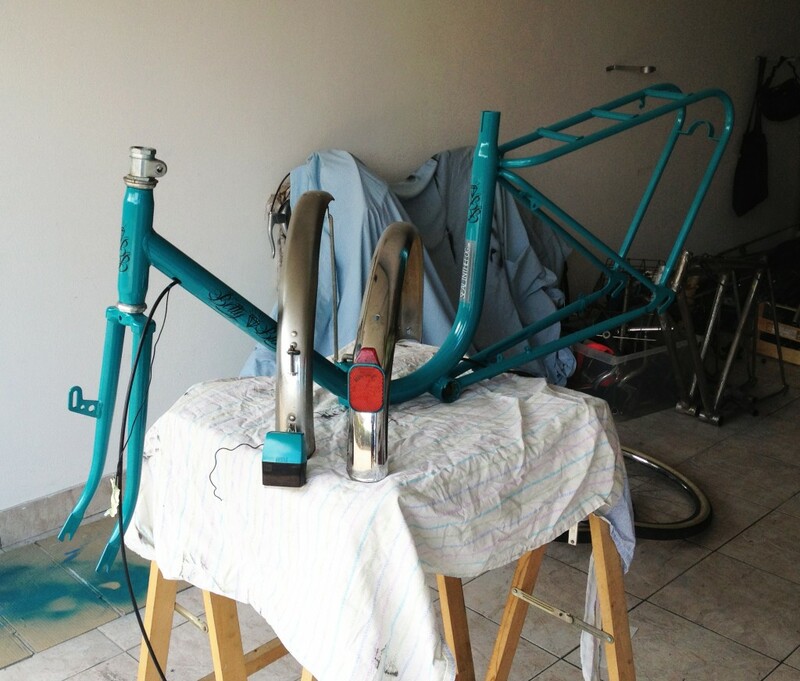 We disassembled it and sanded it slightly, just to make the new color adhere better. We used some bright teal spray paint left over from other projects (check out our wooden teal elephant) and a transparent varnish top coat. With the same color we painted the white parts of the reflectors. We didn’t want to paint it completely and we thought that a little color contrast would help, so we just polished the originally chrome-plated fenders to make them shine. 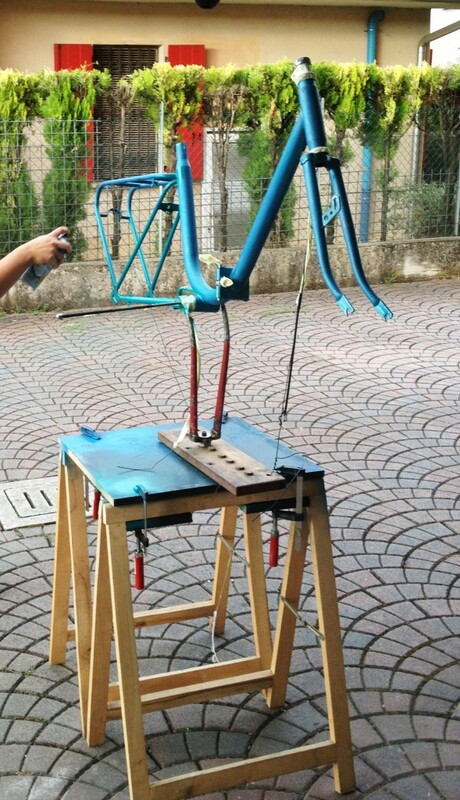 The main changes we made to the bike were changing the tire inner tubes, removing the chain guard, substituting the small original seat for a bigger comfier one and the original handlebar for a wider cruiser-style one. 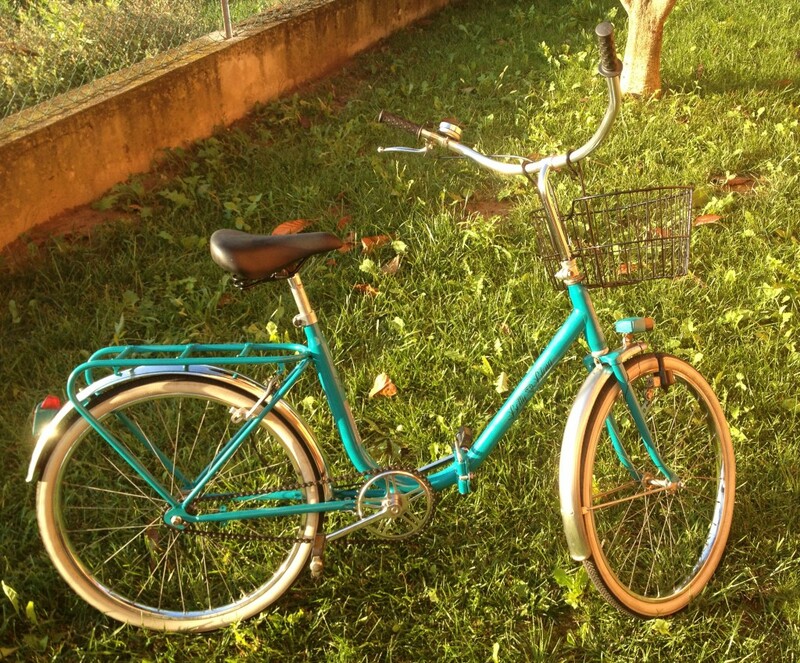 We also added a couple of small things, since my sister is going to use the bike in the city riding from home to university, like a basket and a bell. 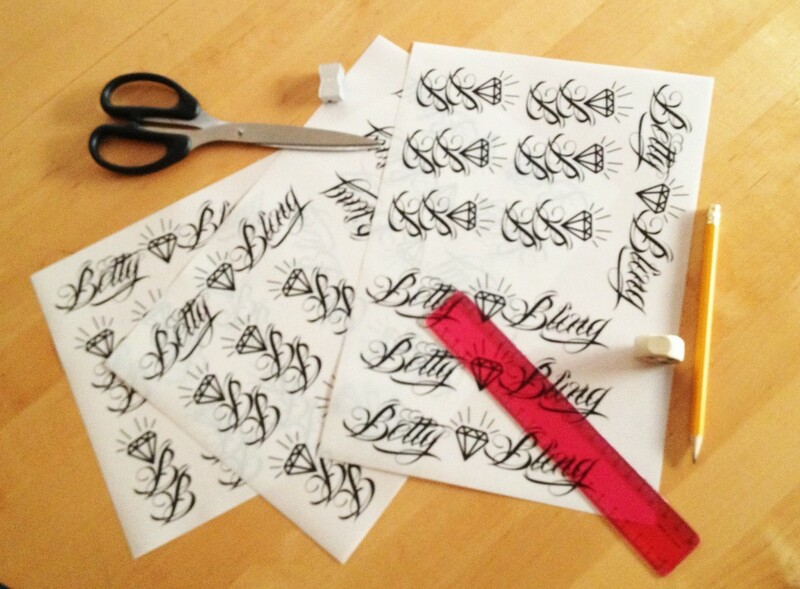 And we printed on transparent adhesive paper the name my sister gave to the bike: Betty Bling!